College application essays are an essential component that students should approach with caution and understanding as these essays have the ability to make or break the college application process. A carefully crafted, compelling essay allows prospective students to showcase their personality while conveying their goals, dreams, and motivations. On the other hand, an essay that was quickly thrown together is easy to spot. Many colleges require an application essay. It allows them to understand, in greater depth, more about the students, their motivations, motives, interests, and what they will bring to the school as a whole. A candidate with an assortment of extracurricular activities, an impressive GPA, and hours of volunteer experience is already well on his or her way toward college acceptance. However, paired with a mediocre essay that misses the mark, this student is less likely to leave colleges enamored. Of course, this statement is not meant to provoke fear; all is not lost for those who struggle with writing. This is meant to serve as an explanation that students who take their essays as seriously (if not more seriously) than their four years in high school are more likely to win over the university’s staff. While putting time and effort into an essay might seem like a lot of work during the application process, it can make all the difference during decision time. An interesting title will excite the readers. Understand, those reviewing applications have likely read hundreds of essays. Students must make sure that their essay title and content catches attention and stands out. Students should spend a good amount of time when crafting college application essays. While there is no set amount of hours that should be spent on each essay, it is important for students to be patient and thoughtful when developing an essay. In the world of texting, blogging, and Face-Timing, it is easy to forget what a sentence should actually look like on paper. Ensure that each sentence is a complete thought—including a noun, verb, and even a few adjectives to spice things up. Students that have an expansive vocabulary should, by all means, slip a few SAT words into their essay. However, flooding a single essay with countless large words can easily come off as insincere. Not to mention, the staff reading this type of essay will see right through it. Remember, they’ve likely read hundreds of essays already! For example, students who want to explain that they are humorous, funny, or witty might use the word “comical.” However, stating that one is comical implies that others find it easy to laugh at them rather than with them. Clearly, word choice is very important — avoid embarrassing mistakes by ensuring a clear understanding of each word used, regardless of how common the word is. Sprouting off an extensive list of accomplishments does not show a university one’s personality. This does not mean that one should not address some of their proudest moments; this only means that students must make sure that their real personality shines through. In Layman’s terms, be yourself! Using one’s own voice is important. Students who have not determined their personal written tone and voice should begin writing well before college admission application deadlines. 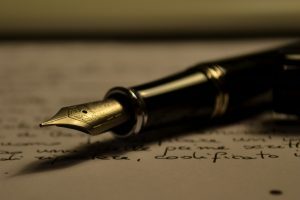 The more students write, the more they will uncover their tone and style; the sooner this is discovered, the sooner students can learn editing techniques to improve their writing without losing their tone. Wordy essays are dull and readers can become impatient. Instead, keep writing short and sweet. This will save a lot of time during the editing process, and will keep readers from getting overly bored or confused. That being said, editing and proofreading is incredibly important. Even professional writers understand that a piece is not complete without at least one edit. The more, the merrier, when it comes to writing. Hack away at all of the unnecessary words, explanations, and thoughts that do not add substance to the piece as a whole. Check for misspelled words, confusing structure, and incomplete sentences. While a student might feel confident in his or her work, it is always beneficial to have an extra set of eyes, to review the work. Application essays are not the only time during which students must learn to write great, original content. Students interested in applying to scholarships can put these tips to use, as many scholarship applications require an essay. FNU has several scholarships that require an essay submission. 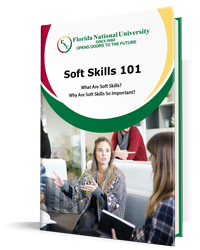 Florida National University, an accredited university, is located in South Florida. We pride ourselves on the flexibility we allow our students. We offer online courses, hybrid courses, and courses in the traditional classroom setting. Be sure to browse our catalog for programs. If you are ready to make the move and put our tips to the test, apply today!